The first recordings of rum were found in the mid-1600s, and it has been known by many names over the years, such names as: Nelson’s Blood, Rumbullion, Kill-Devil, Pirate’s Drink, Demon Water, Navy Neaters, and Barbados Water, to name a few. Rum is the distilled alcoholic beverage made from molasses, cane juice or syrup, by a process of fermentation and distillation. The distillate, a clear liquid, is then usually aged in American or French oak barrels, in a process called maturation. Rum has a more complex aroma than whisky, containing a higher level of aroma compounds (odorant, aroma, fragrance, or flavour), and this higher level is normally found in rums from small scale pot stills rum producers. Unlike some other spirits, such as Cognac and Scotch, rum has no defined production methods. Instead, rum production is based on traditional styles that vary between locations and distillers. How can the French make rum (Rhum)? Rhum is the term that typically distinguishes French-style rum, made from fresh sugar cane juice rather than molasses, and usually produced in French-speaking territories like Martinique & Guadeloupe, and more commonly referred to as Rhum Agricole, to distinguish the two. Its flavour profile is more floral and herbal, compared to non-agricole rums. A “rhum vieux” (“old rum”) is an aged agricole, where one of the minimum requirements is that the rhum must be aged in oak barrels for a minimum of three years. Rhums are normally bottled at a higher alcohol by volume (ABV), compared to non-agricole (and non-overproof) rums. Rhum Agricole is the first choice when it comes to making a Daïquiri or a ‘Ti Punch, and are two of our favourite rhum cocktails. What is that black syrup? That black syrup is molasses, which is a by-product of sugarcane. It is the substance remaining after the separation of sugar from cane by repeated crystallisation, where the sugarcane juice is boiled in evaporators which remove most of the water, leaving a thick syrup. Molasses is actually lighter on the first boiling cycle, and then becomes more or less black after the third boiling cycles. Not all molasses are the same, as this depends on the growing climate of the sugarcane, and the means of production of the sugarcane factories. The darker molasses are commonly used in rum production, as it is cheaper, due to it having less sugar in it. Being a by-product means that the prices are relatively low, and is of good keeping quality. 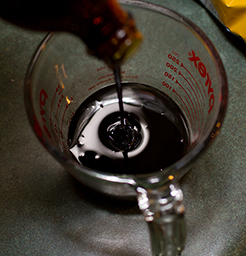 Molasses are normally graded from class A to D, where “blackstrap” is molasses in lowest quality and sugar content. The better rums are normally made of the higher grade molasses. Molasses is edible, and not too uncommon in the Caribbean, people there sometimes takes one or two tablespoons of blackstrap first thing in the morning. As it is rich in mineral nutrients, antioxidant, and contains calcium, iron, copper, magnesium, selenium and B6. 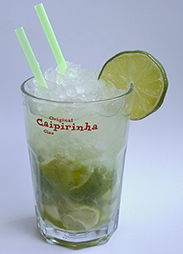 Is Cachaça a Brazilian rum? Cachaça (which might be older than rum, and dates back to the mid-1500s) is very close to rhum agricole, due to it being made from sugarcane juice, rather than molasses. It is an exclusively Brazilian product, known for mostly being unaged. When aged, they can be stored in other types of barrels, such as those made of native woods commonly found in Brazil: like umburana, ipê, cedar, balsam, jatobá, freijó, and jequitibá. The Brazilian government wants Cachaça to stay as its own product, due to its history, and as a more marketable proposition. Not too far back, an agreement between the United States and the Brazilian governments established that all Brazilian sugarcane spirit arriving in the States, has to be filed under “Cachaça” rather than “rum”. 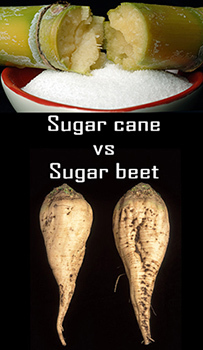 Can I make rum from sugar beets? Rum is made exclusively from sugarcane juice or molasses, and has be distilled at less than 190 proof, and bottled at 37.5 % ABV minimum. These are the two minimum requirements, and applies wherever rum is produced. Sugarcane can be grown anywhere in the world with a hot climate, and with enough rain to keep the plants alive. The main production is normally located in the South America, Caribbean, China, India, and from islands in the Indian Ocean, such as Mauritius, Seychelles, Madagascar and Reunion Island. 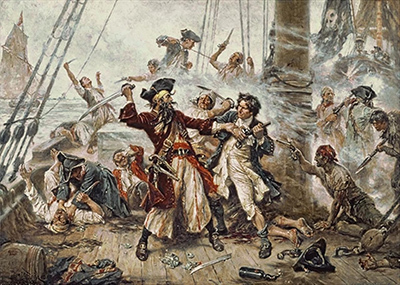 In the buccaneer’s time, rum used to be the favoured drink of the lower ranks of the Royal Navy. A mixture of rum and gunpowder were used to either to test the proof of an alcohol ration (had to be a minimum of 57% ABV), to seal a vow or show loyalty to a rebellion. Rum at that time didn’t taste great, so the navy and pirates would mix it with a bit of water to make “grog”; or water, sugar, and nutmeg to make something they called “bumbo”. This was obviously done to make the rum more palatable. Mermaids you say? Someone is obviously drinking too much rum! South Pacific Rum – covers rum produced everywhere from the Pacific Islands (Fiji) down to New Zealand and Australia. Typically made from high grade molasses harvested in the Pacific Island with high ester contents, the rum tends to be a bit lighter due to a milder climate than the western rums which can speed up the aging process. One such rum is the “Murderer’s Bay Rum” from New Zealand. The two most common distillation methods are “pot stills” and “column stills”. Pot stills are more traditional and made of old-fashioned copper. The modern day pot stills are a variation on the original stills invented by Islamic perfume makers in the Middle Ages, and they produce heavier, and more aromatic rums. Due to the pot still’s non-industrial nature, it tends to be more expensive to produce. In contrast, column stills are very efficient steel columns of the sort used to refine crude oil into gasoline. They produce a lighter, more refined, stronger rum, but with much less flavour and texture. This method is commonly preferred by larger rum producers. 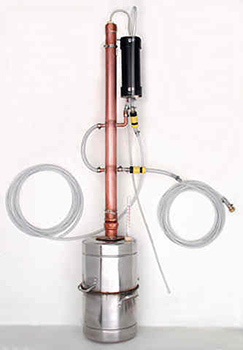 Column still can produce alcohol well over 90 % ABV, compared to pot still, which are normally between 60 and 80 % ABV. 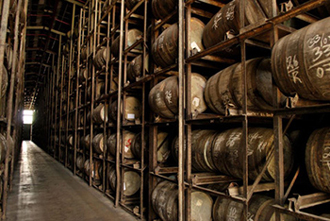 It is not uncommon to see rums that have been made using a combination of pot stills and column stills rum. This process is called blending, which master blenders would say is more an art than a science. Where’s the ghost busters at?? 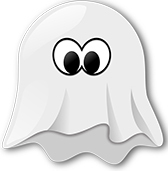 If you are a rum producer, the “Duppy’s share” is a term mainly used in the Caribbean, use to refer to a ghost. More commonly known in Europe and the US as the “Angel’s share”. It is something that they would prefer did not exist! It is unfortunately a natural occurrence, where a percentage of the rum evaporates through the pores of the wooden barrels, during the maturation process. The longer the rum is aged the more is lost to the “Duppies”. 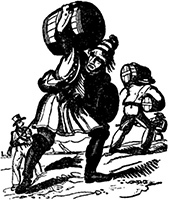 White rums are usually unaged, and typically associated with mass-production for the consumer market. I remember asking if the white rum in my cocktail was an aged rum, and getting a weird look, which made me feel like I asked a silly question. I was actually quite right asking, as the rum was the ‘Santa Teresa Claro Rum’, which is a white (very light) rum aged for around 3 years! After the maturation, the rums go through a special process called ‘charcoal filtering’, which removes any residual colour from aging. This allows the rum to keep its light colour, in addition to the deeper flavours from the barrel. These rums are normally left to mature for no more than 3 years. You might be able to find one that has been aged for longer, which is quite rare, and one such rum is the ‘Flor de Caña Extra Dry 4 Year Old‘, a Nicaraguan rum. Check out Gerry’s, The Whisky Exchange and Master of Malt, if you fancy buying something much more interesting than your Bacardi or Captain Morgan white! Can I make my own rum? Well you can try! Making a rum from scratch would require some work. Maybe making a spiced rum or a ‘rum arrangé’ from a white rum instead, might be a better start? If you really want to get into making your own rum, this is not impossible, and you might not necessarily have to sell all your processions! If you want to know more, you can check out http://homedistiller.org, http://www.artisan-distiller.net and http://www.moonshinelife.com/resources/recipes/how-to-make-rum; people there seem to know that kind of stuff. Aged rums are normally known as the finer rums, and the older the better, or at least you might think that! The age statement on a bottle, is not a decider when comparing one rum from one brand, against another from a different brand. For example, a 5 year old rum from producer A might have more character than an 8 year old rum from producer B, and this is because there are a lot of other things to take into consideration, such as fermentation and distillation methods, where the aging has taken place (e.g. A rum aged 10 years in Scotland might be close to one aged for 5 years in Mauritius), the type of barrel or barrels used, just to mention a few.Rum with an age statement of “aged up to x”, does not mean the rum is “x” year old, this means that the rum is a blend, where the youngest (rather than the oldest or average age) rum in the bottle has been aged for “x” years, and this is consistent with other spirits such as whisky. Even though there are rules, there are occasions where they are not followed, as this is not tighly regulated. Some brand might use the age statement to refer to the oldest rum, such as ‘aged up to 15 years’, where the bottle contains a very small percentage of that 15 years old rum. Bear in mind that there are a lot of marketing (good and bad) involved when it comes to labelling rum. This is understandable, as this is becoming a more and more competitive market. The rum aging process does not happen when the rum is in stainless steel containers or glass bottles, but some people (mainly marketers) might claim otherwise. So Malibu is not rum? Being a by-product of sugarcane is not the minimum requirement for an alcohol to be called rum. The definition of rum varies from country to country. For example, in the UK (and the European Union) rum has to be at least 37.5 % ABV, Venezuela for example requires a minimum of 40% ABV, and the rum needs to be aged for at least 2 years. These types of requirements means that there will be some implications for new rum producers, if they decide to ship their products to international markets. One of these would be relabeling the product in some countries, from a rum to a ‘rum liqueur’ for example, where they do not meet the minimum requirements. Malibu in the UK is not classed as rum, as it is well below 37.5 % ABV. Are these rums from the same barrel? As far as blending is concerned, rum in its purest form comes from a single barrel, where each bottle can be identified with the barrel that is was filled from. Another method that seems to be getting more and popular is the Solera method, mainly used in Spanish-style rums. The Solera method is an art of moving rum among different barrels to create the best combination of rums possible, by fractionally blending in such a way that the finished product is a mixture of ages, with the average age gradually increasing as the process continues over many years. What are the types of rum? The review of this rum is not that great? We need to be open minded about rum reviews, as our palette is likely going to be different from the person who did the review. Just like a lot of things, experience plays a large role when it comes to tasting, what I mean is a trained palette might be able to pick a larger and more complex notes, compared to someone who just started getting into rum, or who drinks rum occasionally. We’ve visited a few countries where rum is very popular, which made us appreciate that rum is more than just rum and coke. Your supermarket rums are mainly large scale produced rums, and what you can get is less than a percent compared to what you will find on sites such as The Whisky Exchange and Master of Malt. There is so much history behind this spirit, so many places that make great rums, and there is so much to learn! 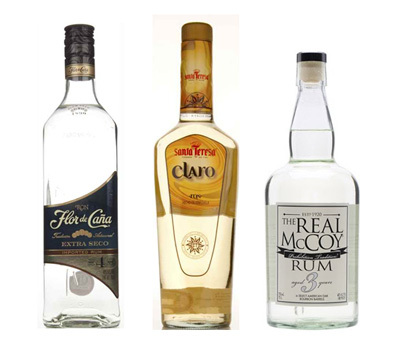 Rum is the most versatile spirit category in the world, with a style of drink for every occasion. There are endless ways to use the various styles of rums in your favourite cocktail. For some inspiration, check out our “Rum Cocktail Picker”! Book: The 12 Bottle Bar: A Dozen Bottles. Hundreds of Cocktails. A New Way to Drink.